Just because you're eating a low-carb diet doesn't mean you have to eschew tacos! 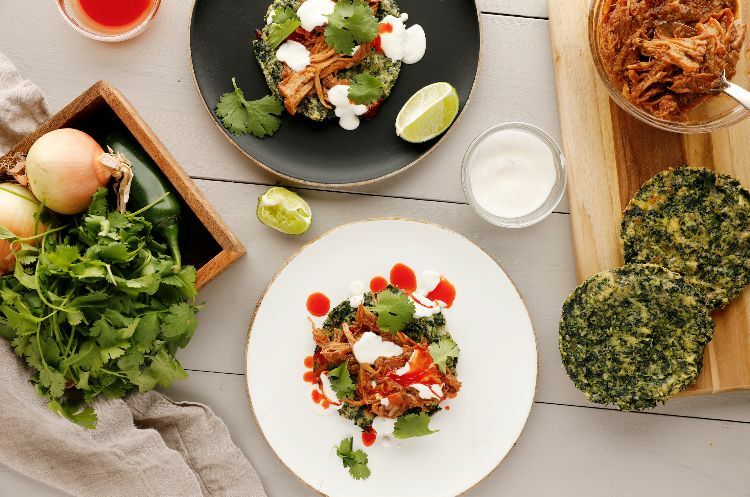 These spinach-and-egg based taco shells are filled with vitamins and protein and nearly devoid of carbs. Take a chance – the recipe below will soon become a household staple. The cheese you use in these will mainly help them hold together, so a mild flavor such as mozzarella is best. That said, feel free to change it up depending on the filling you plan to use. If you're going more of a Tex-Mex route, shredded pepper jack could work nicely. 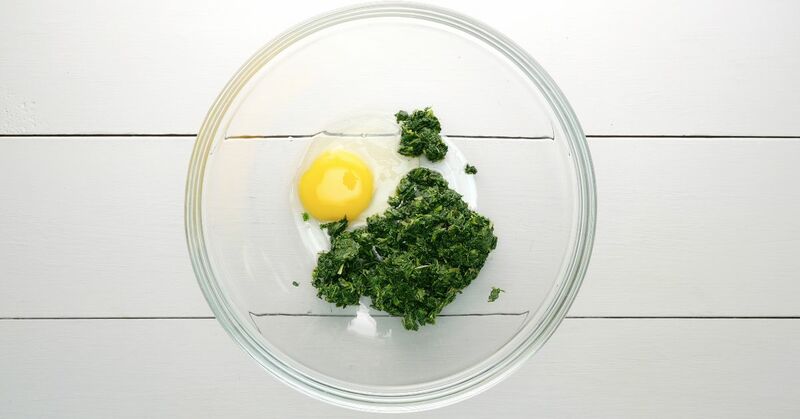 Combine the spinach, eggs, almond meal, mozzarella and salt in a bowl. Stir until a homogenous batter forms. Place a 5-inch cookie cutter at one corner of a silicone baking sheet placed on a baking sheet. Fill the cookie cutter with 1/4 of the batter, pressing down to get an even round. Move the cookie cutter to a different corner and repeat the process until you have used all the batter. Bake for 10 minutes, and carefully flip the taco shells and continue baking for another 5 to 10 minutes, until browned on both sides. Fill with your choice of taco filling.